I’m grateful for the relationship I have with John. It’s nice to be with someone who “gets” you and who you feel comfortable sharing your fears and dreams with. I’m no stranger to a rocky relationship though. I was married for over 10 years and we were officially divorced a couple years ago. I don’t regret it though. I did get two beautiful girls out of that relationship, but let me just say it took it’s toll on me emotionally. We were not meant to be together and when we parted, there was no love lost on either of our parts. With Valentine’s day coming up soon, I wanted to make picture quotes of a few of the quotes about relationships that really resonated with me. What is your favourite quote about relationships? For more quotes, check out my post with Nicholas Sparks’ love quotes. Wow! Very beautiful and true! They are many types of love, and they take work. We even fall deeper into them sometimes. I really enjoyed these quotes because they discuss the truth and commitment of love. The last one hit me. So many things encompass love, and we need to be careful how we view and use the word. beautiful quotes! I love reading them. <3 They are inspiring. Beautiful.. I love the quotes!! i liked your choice of quotes…and found them all to be very true. I have always liked the quote by Robert Browning “Grow old along with me! The best is yet to be”. 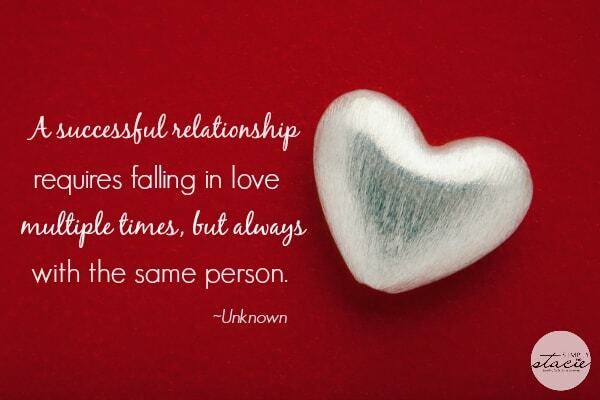 I really like the second one about falling in love many times with the same person. I have been with my husband for over 14 years and I fall in love with him every day! Relevant quotes, sharing them with the hubs, thanks! love these , My fav is the one about falling in love multiple times with the same person ! so true ! 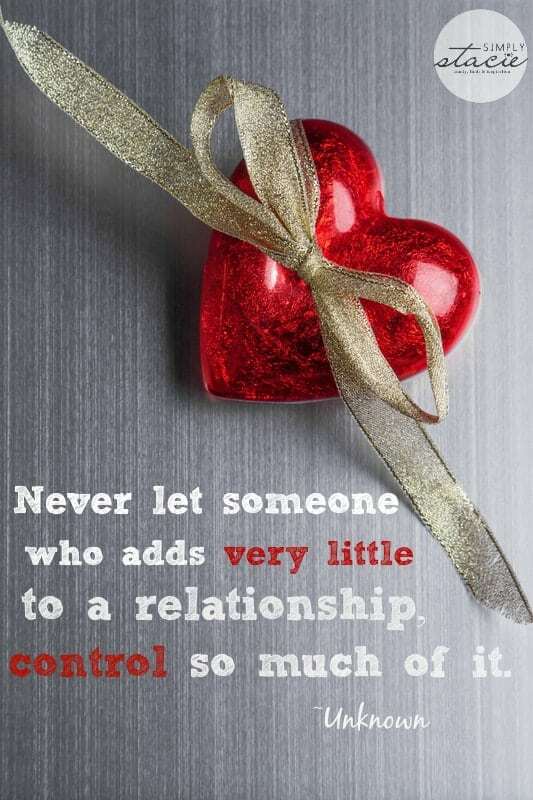 I really enjoyed reading these Beautiful Quotes about Relationships! My husband and I are truly Blessed to have found each other! We will be married 24 years on Valentine’s Day and our Love continues to grow stronger every day! Thanks for Sharing! I can relate completely as I was married for 16 years and the divorce took its toll on me as well! Thank you for sharing these beautiful quotes, they make me feel so much better! “Never the same love twice” is a nice one. Thanks for the inspirations. The last one really resonates with me. I too had an unsuccessful first marriage and even though we have been divorced for 30 years, I still reflect on how bad it was. 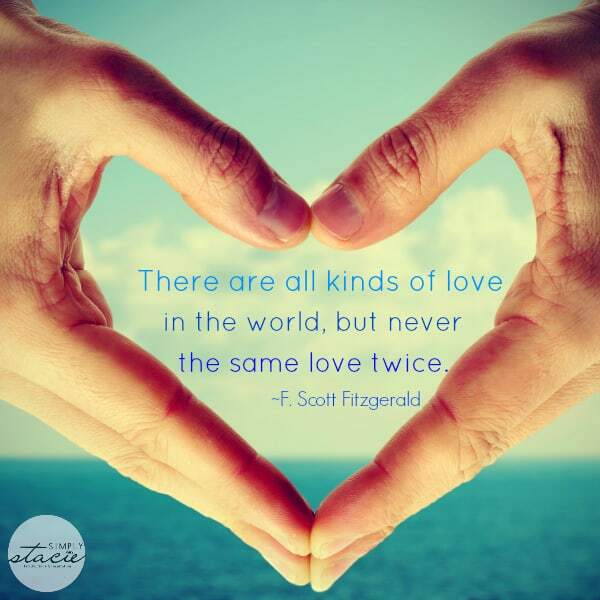 I like the “never the same love twice” quote. I love these… thank you for adding to this on your blog, it’s my favourite! Thanks for all the quotes. Really made me stop and think! When you truly love someone. You give everything you can and expect nothing in return. Not sure who wrote that. All excellent quotes, especially that last one! When my nephew was young, around eight, he asked me why I had never married. I told him that I hadn’t found the man I wanted to spend the rest of my life with. He and his brother looked at me like I had grown horns. I reminded him of that conversation recently and he told me his only example of a lasting relationship was that of my mother and father and I found that profoundly sad. His parents, his maternal grandparents, maternal aunts (I’m the only paternal aunt and I never married and there are no paternal uncles), basically he’s been surrounded by divorce. What a love article, the quotes are so beautiful and so true. When love is honest and true it is so awesome. I am one of the very lucky ones! I am so happy for you that you did find your soul mate.I really enjoyed your favorite Quotes and I hoe you enjoy tis valentines day. I love quotes and am always looking to add to my favorites. I like #3 best. Love these quotes! I to got divorced after only 7yrs. but I have my two girls. I am remarried now, and it’s funny because my ex and I get along better now than when we were married. All of those quotes are great. They speak the truth in a beautiful way! “I may not be a smart man but I know what love is!” Forrest Gump! I really like the “never the same love twice”quote!! I can relate to the third one. Nice post. my favorite quote is “love is someone who accepts your past,supports your present and loves and encourages your future”. Thanks for sharing the quotes with your readers. They all seem to make you stop and think about every line. They are beautiful. 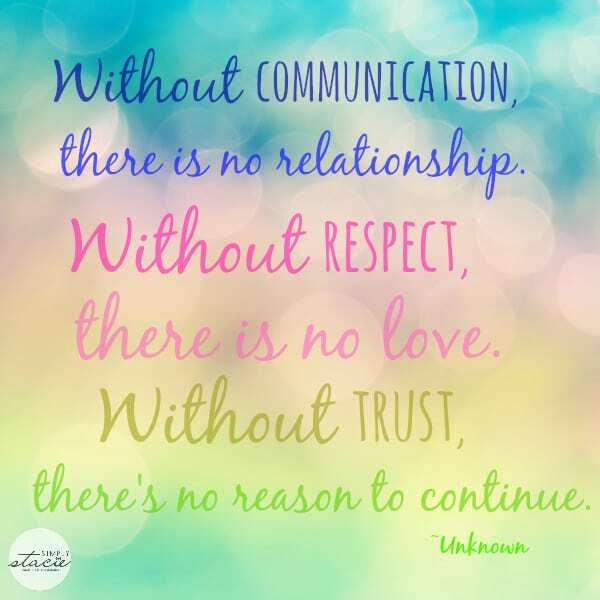 I really like the one that starts off “Without communication …’. It is so true. I just love these quotes. My favorite is the last one and so true it is. I am on my 3rd husband and yes we also have had our ups and downs. But we work through them and it builds a stronger relationship. We always try to have fun together and be true to each other. I love reading quotes. They’re so inspirational with great wisdoms, and sometimes humor. Thanks! Great quotes. Sometimes a quote says so much more than I can every get out. Never ceases to amaze me when you happen on words that so fit the current mode one’s in. This came at an opportune moment – I am grateful. There is much wisdom in your quotes. 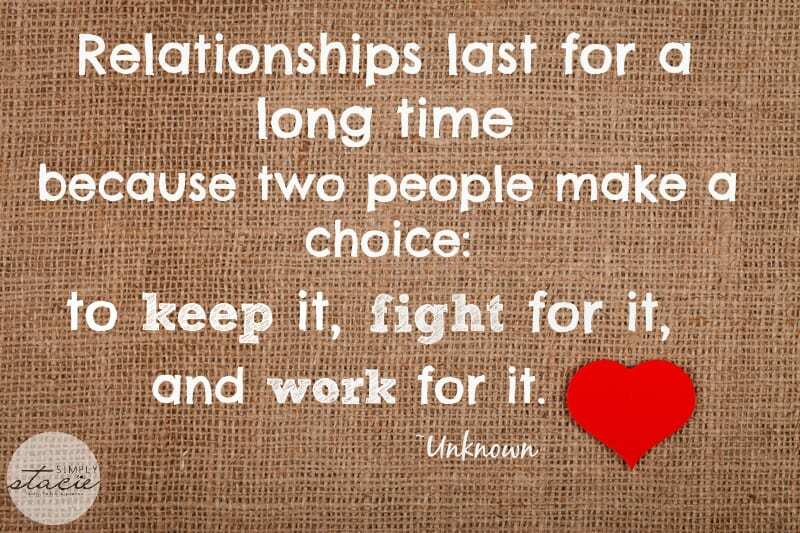 I especially like the one that says: Relationships last for a long time…. I love quotes I use a lot of them on my screen saver all the time. Like the one quote here about working on a relationship , I always used to say a relationship is like a garden it needs to be taken care of to thrive and grow. The one about choosing is so true. Many trials over the years made it seem easier to walk away, but the work is worth the love. Even when it is a struggle.